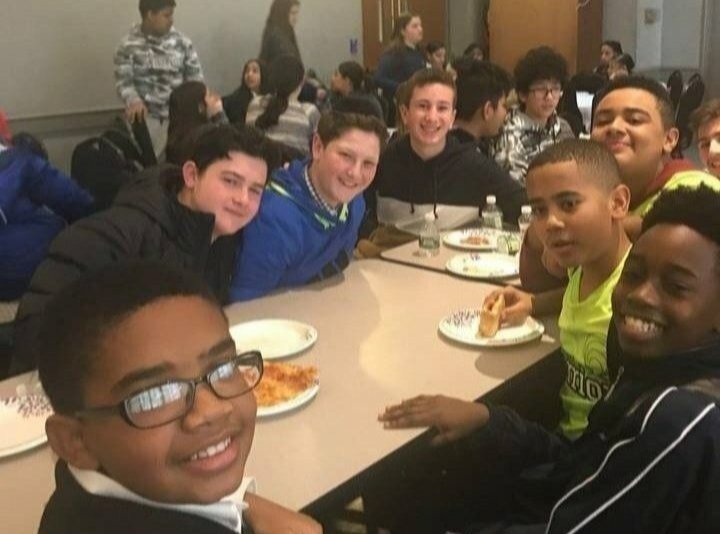 Our eighth graders visited Atmosphere Academy, a local charter school, to learn about Martin Luther King Jr. Day, and to connect with their peers to learn from each other about the messages of the day for all of us (see article below). We are grateful to the leadership of Atmosphere for a wonderful and growing partnership with SAR. 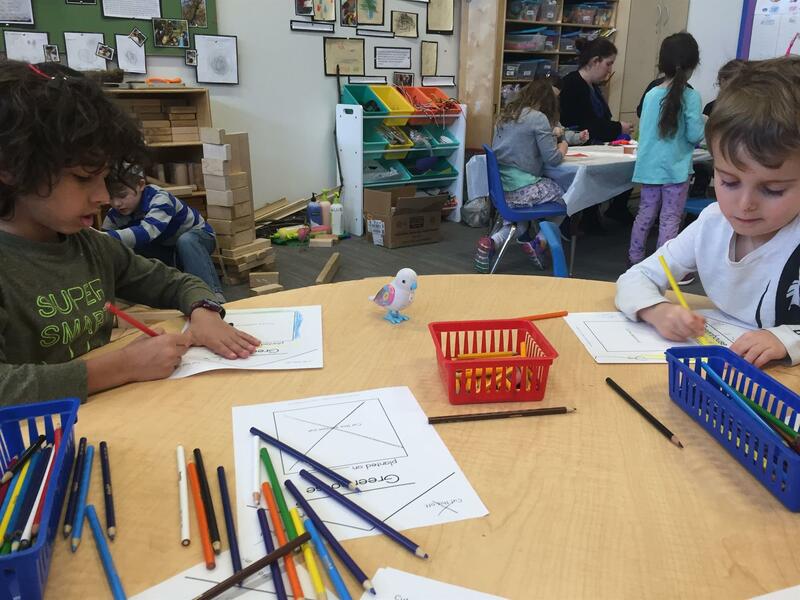 Thank you to our bnot sherut for running fun and meaningful Tu B'Shvat programming for so many of our students this week. The presence of the bnot sherut serves as a wonderful opportunity to connect with Israel throughout the year. 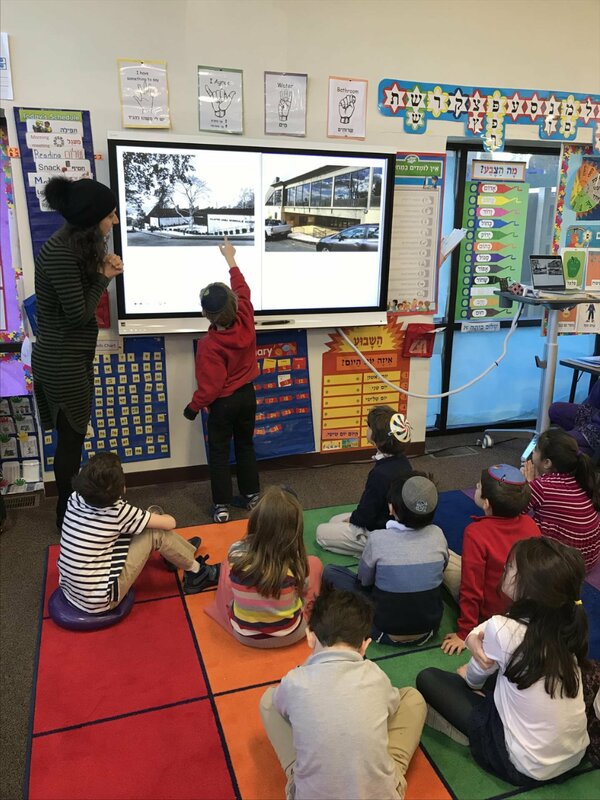 Thank you as well to the teachers of Gan Yonim in our ELC for hosting the parents in their class for a Tu B'Shvat celebration and presentation conducted entirely in Ivrit! We look forward to celebrating the Mesibat Chumash with our second graders and their families this Tuesday. Mazal Tov on this upcoming milestone. Mazal tov to Elisheva Malka Hasson (former AC Faculty) on her engagement to Yosef Veltman and to Elisheva's children, Miryam (ELC Faculty, AC Alumna) (and Jon) Fiskus and Sarah (AC Alumna) (and Simcha) Yenowitz and to her grandchildren, Lexi (4N) and Elijah (2N) Fiskus. If you would like a "Mazal Tov" listed in the Chadashot for a new baby that is born in your family, please click here. by Heidi & Scott Greenbaum, Drew (AC'15, HS'19), Cory (AC'08, HS'12), Shelby (AC'05, HS'09), and Derek (AC '04, HS' 08), in memory of their beloved father and grandfather, Mayer Luden, Meir ben Avraham Yehuda h'Levi, on the occasion of his yahrzeit. Mayer Luden loved being Jewish, loved Israel with all his might and his soul, and loved his family. We remember him every day, but particularly note this day. May his memory be a blessing and his neshama have an aliyah. by Marilyn, Dov (AC '96), Becky, and Yehuda (AC '99) Gordon in memory of Lillian Levine, לאה בת שׁמואל, beloved mother and grandmother, and in honor of the shloshim of Sandy Gordon, זכריה מיכל בן משׁה, our dear husband and father. 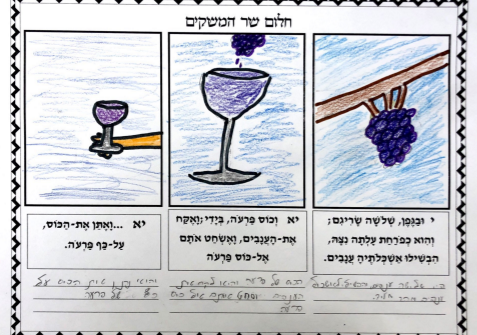 Click here to sponsor a Day of Learning at SAR to commemorate a yahrzeit; learn in the merit of a loved one's refuah shlemah; honor a parent, teacher, leader, or friend; or celebrate a simcha. 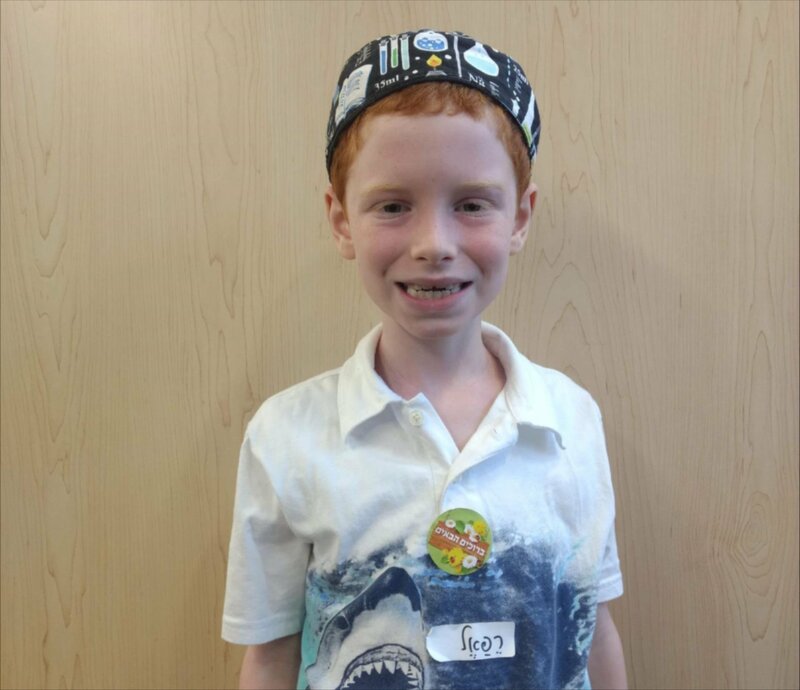 It is a wonderful way to model by example the value we place in learning and give meaning to our acts of tzedakah. If you have any questions, please contact Sara Hasson at sara.hasson@saracademy.org or at x1300. Our #Flashback@50 project involves spending a few minutes each week with our students sharing an artifact, an interview, or some historical background about SAR, giving them a sense of the things that shaped this institution and the philosophy behind some of the things that we do. This week the topic was Then and Now. Click here to read about it. Thank you to Sharon Marson and to the committee of teachers (many of them alumni!) who are working on this meaningful project. 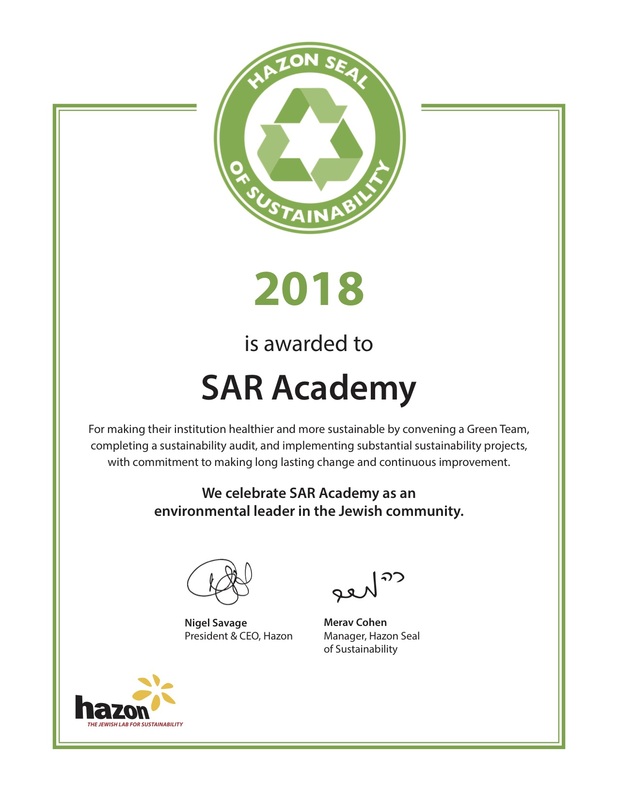 We are excited to announce that SAR Academy received the 2018 Hazon Seal of Sustainability Program in partnership with GrowTorah, with Yosef Gillers leading this initiative! We are proud of our commitment to sustainability, to building a stronger, healthier community, and to renewing this process for coming years. Learn more about the Hazon Seal of Sustainability by clicking here. Gan Dagim has been exploring their class namesake, fish! We found out that in the winter many fish swim to the bottom of the ocean where it's warmer. We read the book Rainbow Fish by Marcus Pfister which the children truly enjoyed. 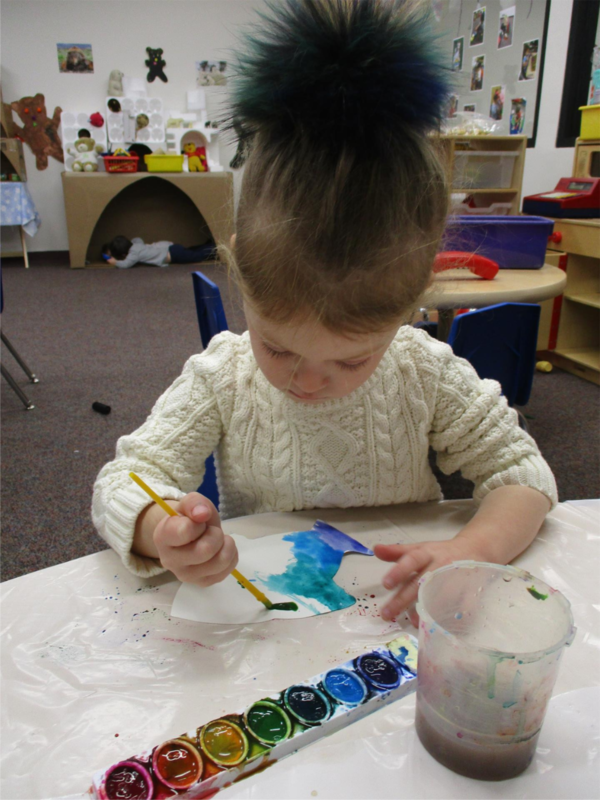 Then we created our own rainbow fish using watercolor and shiny foil paper. 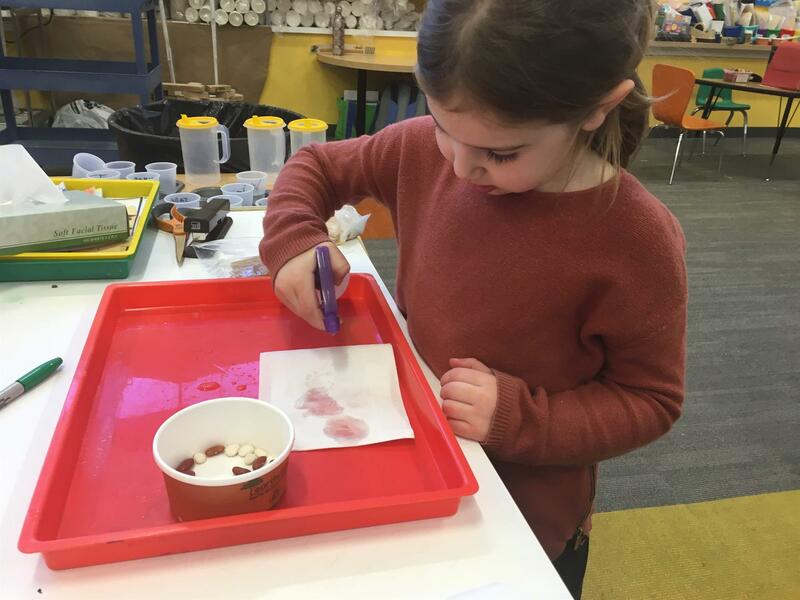 We observed pictures of many species of fish and took a walk up to the SAR atrium to see the fish tank where we had fun taking turns feeding the fish. 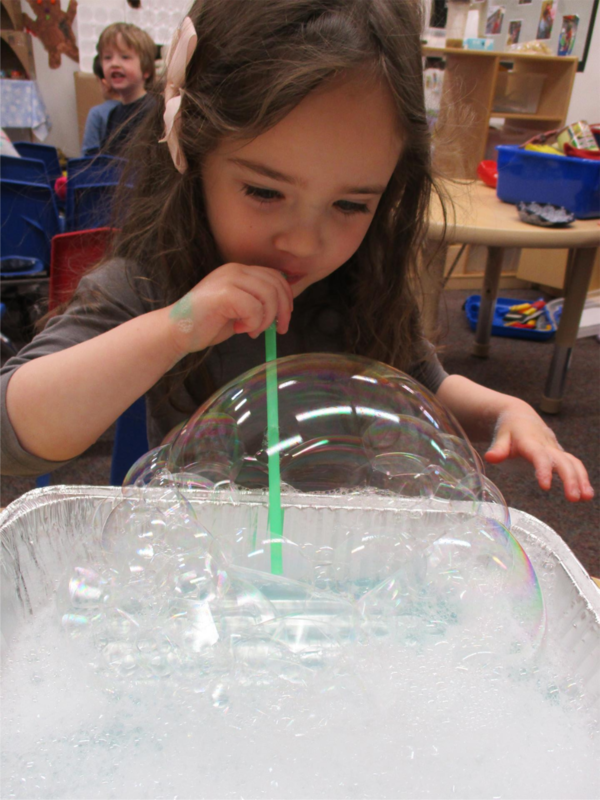 We also learned that fish blow bubbles to breathe and make bubble nests. Gan Dagim decided to make our very own bubbles too! Mixing liquid soap with water certainly made for a fun and bubbly experience. The children used straws to create the biggest bubble nests ever! 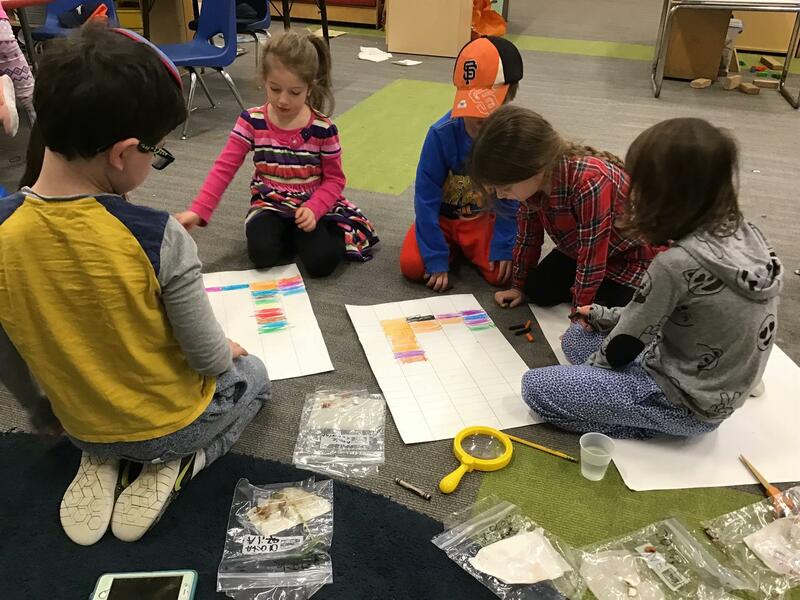 COMMUNITY STUDY IN FIRST GRADE: SAR "THEN AND NOW"
As part of our community curriculum, the first graders are learning about the history of SAR. This week, we compared pictures of various areas in SAR "then and now" and recorded our observations in a Venn diagram. Looking at the front entrance of SAR, we noticed that the old building had trees and shrubbery whereas today we see windows looking into the new upper level. The field of "then" was on an incline, and we discussed how that probably made playing during recess very difficult. Thankfully, the field of today is level and features a new playground area. We also noted that the old field had real grass while today we play on artificial grass. 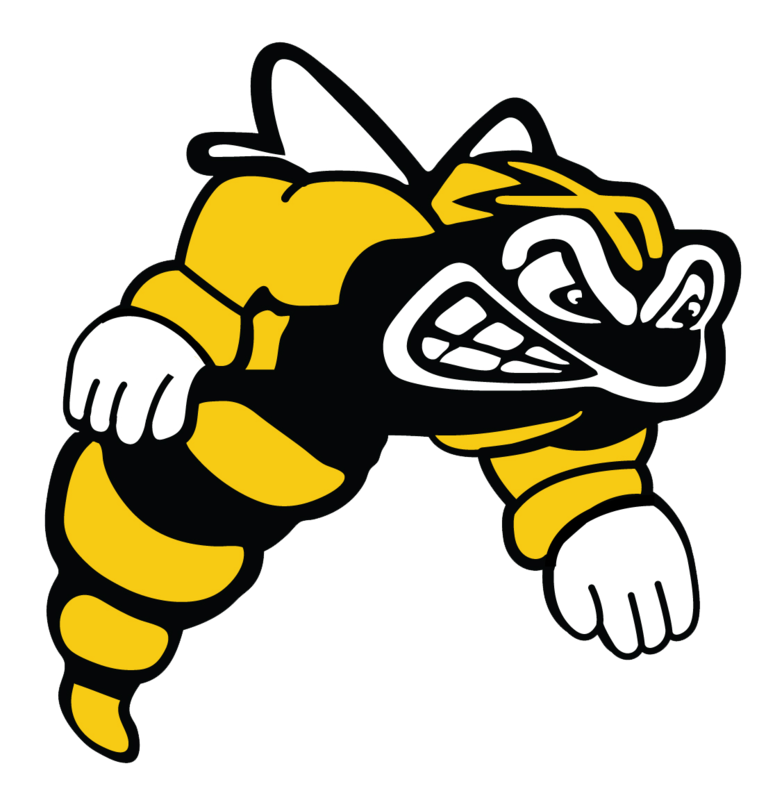 biggest change we noticed was the SAR logo in the center of the court: in the old picture, this featured the Hebrew acronym of SAR, while the new one has a bee, our mascot. The center of the school looks largely the same, though our library seems to have grown a lot over the years! We all agreed that the changes were probably made to accommodate a growing student body. It was fun to see all of the structural changes the school has gone through while noticing how much has stayed the same. The fourth graders have been learning about different dreams in Chumash. The first dream we learned about was Yosef's dreams where bundles of wheat, stars, a moon, and the sun are bowing down to Yosef. We discussed how these dreams were foreshadowing what was to come in Yosef's life, where his family will eventually come down to Mitzrayim and bow to him, as he will be the second to the king. We then learned about Sar Hamashkim and Sar Haofim's dreams that they had in jail. Yosef explained these dreams to them and explained that Sar Hamashkim will be returned to his job in Paraoh's palace and Sar Haofim will be killed. We are currently studying Paraoh's dreams and have begun to learn how Yosef is brought out from jail in order to interpret his dreams. 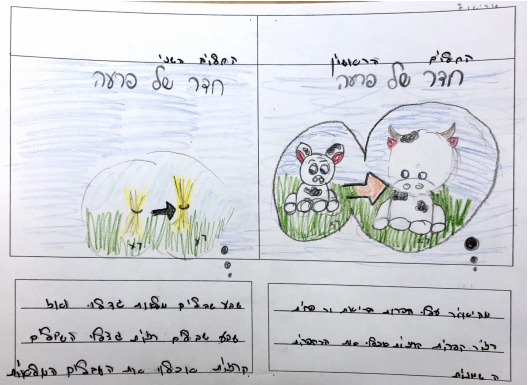 As we have learned these different dreams, the students have been illustrating pictures of the different dreams as well as summarizing the dreams in modern Hebrew. Their creativity has really shined through! Before vacation, the kids participated in a Healthy Choice unit. Through various fun games (Healthy Island and Fruit and Veggie Tag) the kids learned about the major food groups and how to determine a serving size. Not only did the kids learn the importance of healthy eating, we also learned about hygiene and keeping our bodies clean through a very fun game called "germbusters." 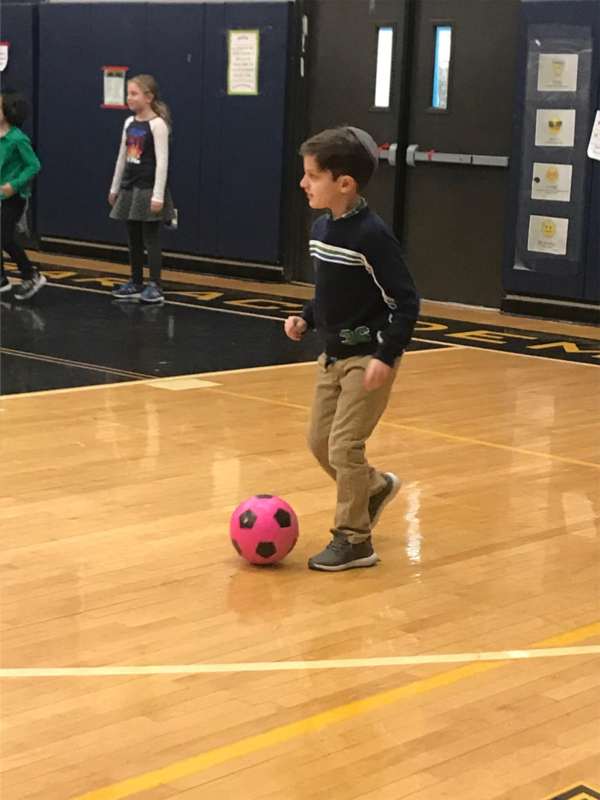 In this month's kicking and fitness/jump roping unit, our major objective is to advance the students' strategic skills (critical thinking) as a team, while improving their individual skills in the areas of footwork, passing, and kicking. We play different forms of kickball and soccer activities which are very popular! Our current unit, basketball, is a great sport to teach because it allows students to hone several different skills. They practice ball manipulation and movement throughout a given space, as well as non-locomotor skills like balance and twisting. 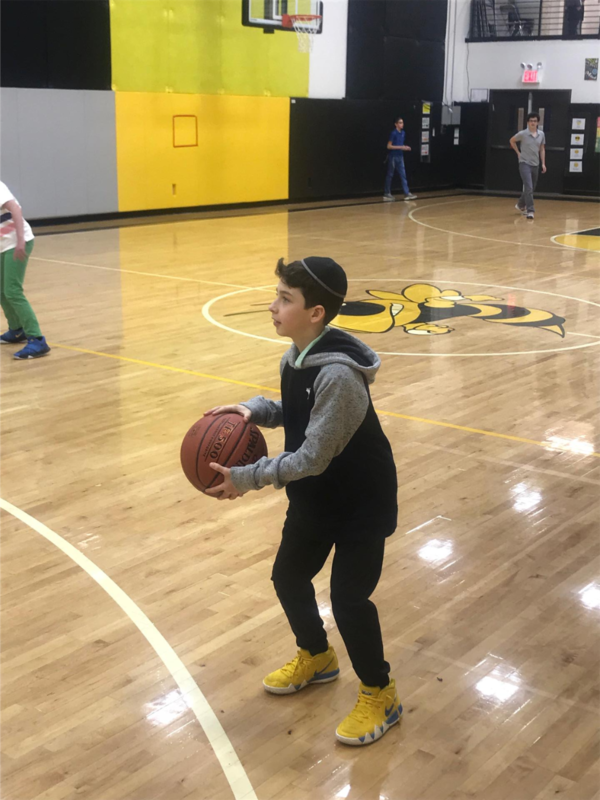 Moreover, as a team sport, this basketball unit allows opportunities to educate students about fair play, teamwork, and respect for one another. In this unit there are lead-up activities toward skill acquisition, as well as elements of strategy development and opportunities to practice learned skills in real game scenarios. Students continue to focus on improving their fitness level. After completion of our mini football unit, students have now entered our basketball unit. The students will improve on the techniques of proper dribbling and shooting, strategies for game play, and how to work together as a team. This unit has continued to challenge the students' physical fitness levels through warm-up and game play. 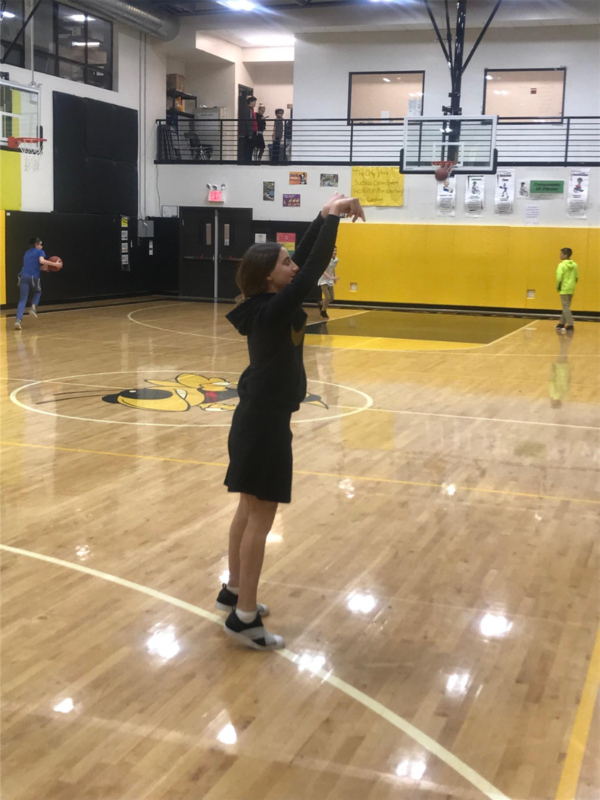 Since every student has a different level of basketball ability, the students have been encouraged to show positive behaviors and encourage all students to do their best. Each student is encouraged to strive to reach the next level of his/her ability by the end of the unit. 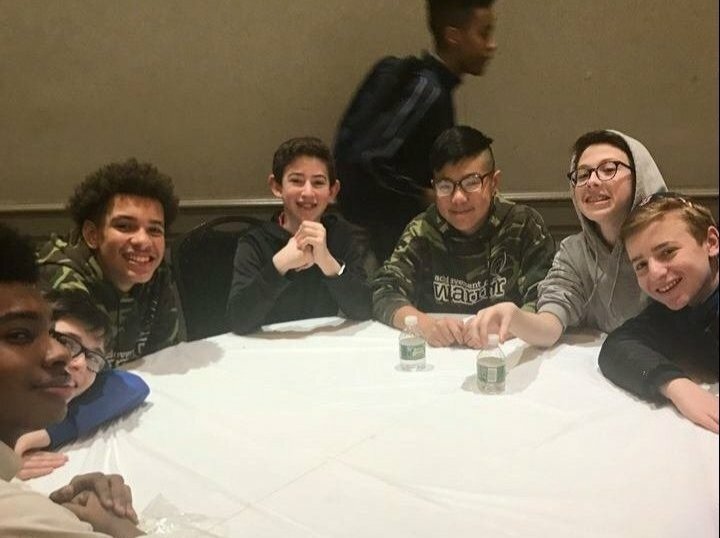 On Wednesday, SAR Academy eighth graders and students from Atmosphere Academy, a charter school which is housed at the Riverdale Jewish Center, joined together to learn about Martin Luther King, Jr. Rabbi Krauss spoke to the students about MLK Day not only being a day of inspiration, but that it should be a day of action. 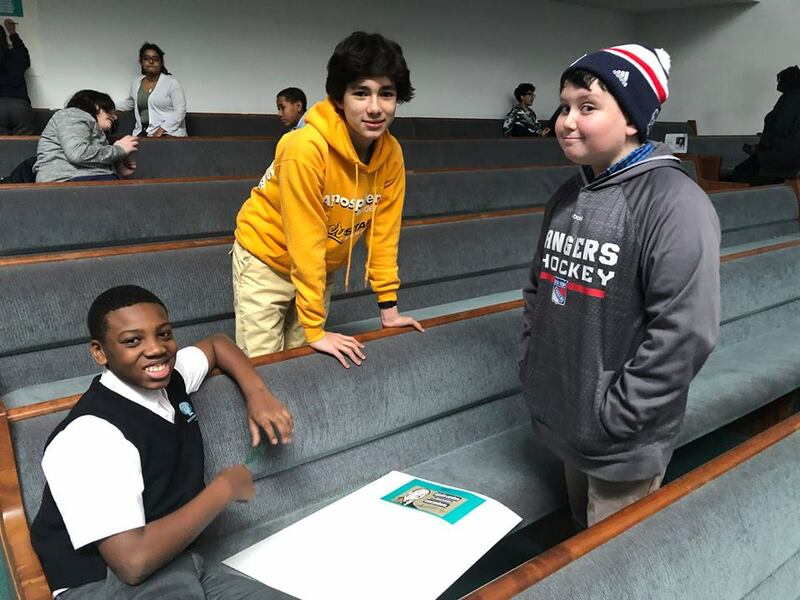 The students were divided into small groups that integrated SAR and Atmosphere Academy middle schoolers, to engage in a dialogue about how to make a difference in the world in regard to hate and intolerance. The value of "brotherhood" was discussed, using clips from King's "I Have a Dream" speech and from the movie Selma to launch these important conversations. Faculty from both schools led larger sessions with the groups, focusing on justice in the context of Martin Luther King and Torah teachings and concentrating on Civil Rights itself. This powerful program concluded with the most meaningful portion, an opportunity for the SAR and Atmosphere Academy students to socialize and build relationships as they enjoyed lunch together. 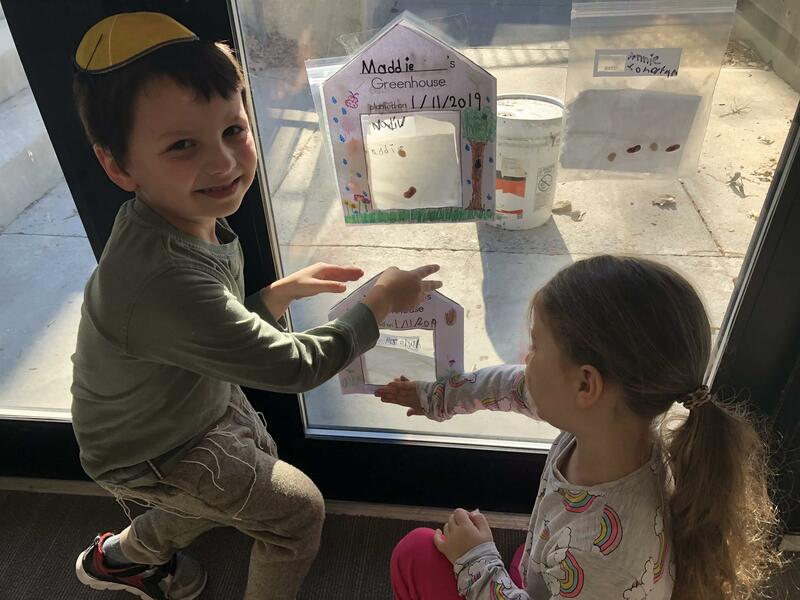 The kindergarten children began a bean experiment last week in celebration of Tu B'Shvat. 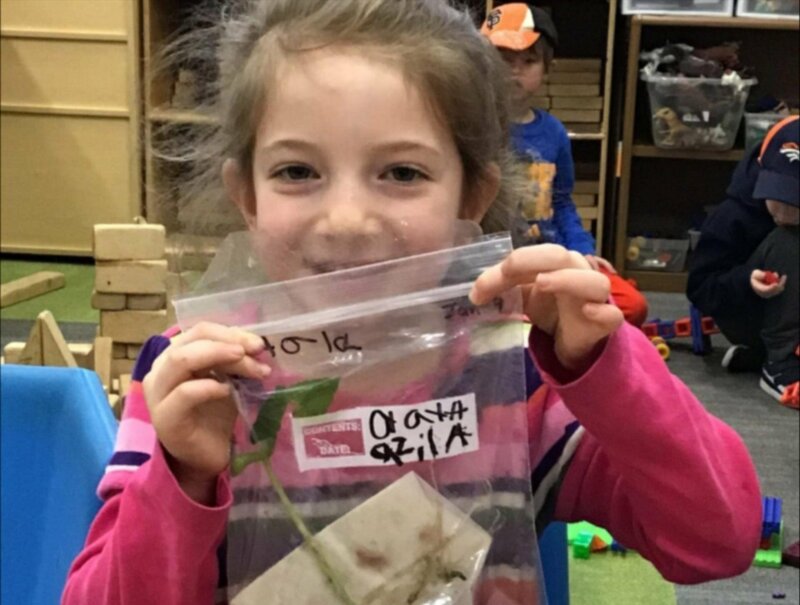 They worked in small groups and with a partner, carefully folded and wet paper towels to slip inside a ziploc bag. Each child then took one or two beans (lima and kidney) and placed them on the wet paper towel. They sealed and labeled the bag with their names. Together the pairs of children decided where to hang the bags. Some are on the windows of the doors facing the outside and others hung the bag in sunny areas of the kindergarten space. One class even hung a bag inside a dark closet! Each child illustrated what the the beans looked like at the beginning of the process and then predicted through illustrations and writing what they think will happen. The ideas ranged from no change to change of color to change of shape. 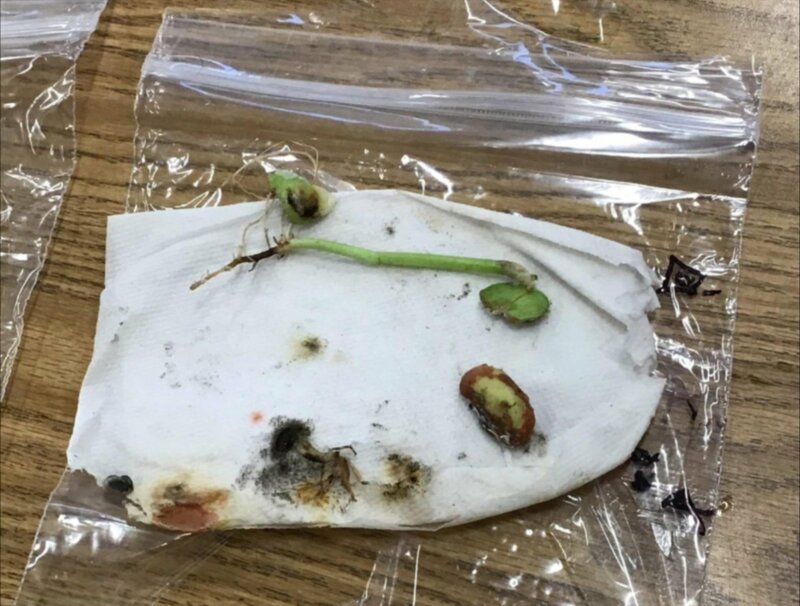 A few children predicted that something may grow. This week with much excitement the children noticed the changes and growth throughout the entire kindergarten area. The results ranged from no growth at all to beautiful plants with long stems and visible roots. This led to many conversations about why some grew while others did not. We were surprised to see the growth of the beans in the dark closet. It was one of the best! The children illustrated and graphed their results and compared them to their original hypotheses. Many children decided to leave their bags hanging. We are all looking forward to watching what happens as we observe these bags over the next few weeks. 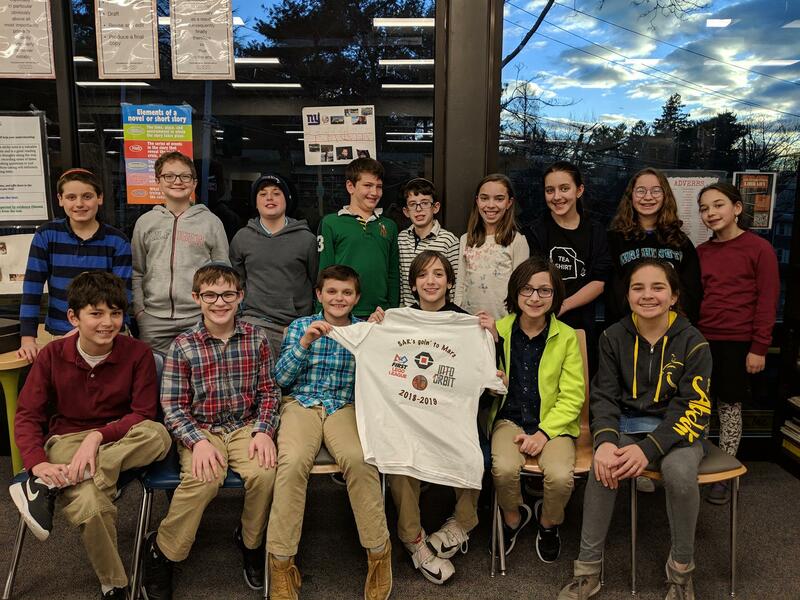 The SAR First LEGO League team is currently preparing for the INTO ORBIT competition. For our project, we must attempt to find a solution to a problem faced by humans traveling in space. Our team has decided to propose a new food source for astronauts: blue-green algae! Unfortunately, one of the biggest limitations of algae is its bland taste. Please help us decide what flavors to use to modify our algae so that our idea is not only innovative, but delicious! Responses will be taken until January 30, 2019. Click here to submit your response! This week's parsha is Parshat Yitro. In Parshat Yitro, Yitro – a non-Jew, and Moshe's father-in-law – comes to join B'nei Yisrael in the desert. Why did Yitro come all the way to join B'nei Yisrael? The pasuk tells us one reason that Yitro came. He brought Moshe's sons and wife with him, so that Moshe's family could be together. Another reason, though, might be because Yitro saw how powerful B'nei Yisrael was after they left Egypt. He recognized that it wasn't really the people who were so powerful, but actually Hashem, who had made all of the miracles. So Yitro also came to B'nei Yisrael because he believed in Hashem. Click here to view the English version of Daf Yomi: Parshat Yitro. 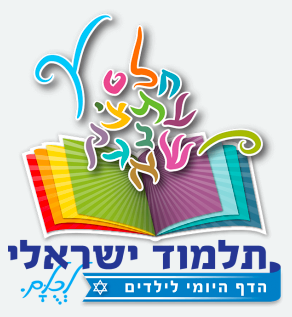 Click here to view the Hebrew version of Daf Yomi: Parshat Yitro. Ezer Mizion, Israel's largest paramedical organization, serves over 720,000 people annually through multiple programs and services including a a division for special children, a fleet of ambulances, a summer camp for children with cancer, two guest houses located near Israel's major cancer centers, kitchens that prepare over 650,000 hot meals a year for the family of patients in the hospital, hydrotherapy swimming pools, medical equipment loan program, and so much more. 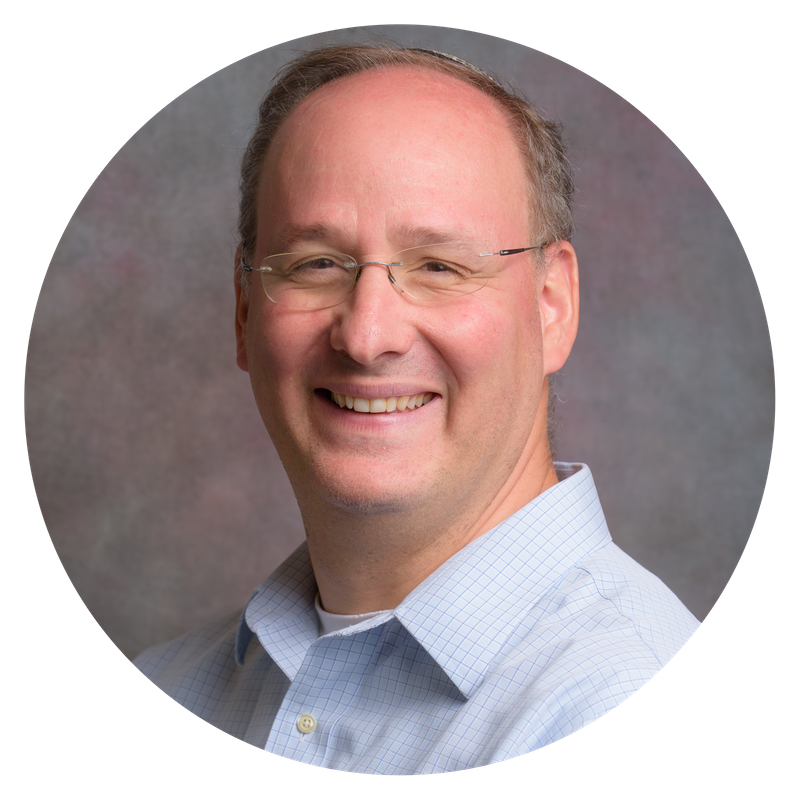 Ezer Mizion is perhaps best well known outside of Israel for operating the largest Jewish bone marrow registry in the world facilitating over 30 transplants every single month. To arrange a chesed mission on your next trip to Israel, please contact Ryan Hyman at (718) 853-8400 or ryan@ezermizionusa.org. The Riverdale community is invited to a special event: The American Jewish Community: Past, Present and Future--An Armchair Conversation with Richard Joel and Gary Rosenblatt, in celebration of the publication of Ennoble and Enable: Essays in Honor of Richard M. Joel. Saturday night, January 26 at 8:00 PM at the Joel home, 5543 Arlington Avenue, Riverdale. To view the flyer, click here. To RSVP, email ennobleandenablebook@gmail.com. On Sunday, January 27 at 6:30 PM at Hebrew Institute of Riverdale -The Bayit there will be a screening of the critically acclaimed, powerful, and emotional Holocaust documentary Who Will Write Our History, executive produced by Bayit member Nancy Spielberg. This screening is a part of the Global Screening Event on International Holocaust Remembrance Day, with over 355 simultaneous screenings in 55 countries and post-screening discussion at UNESCO in Paris streamed on Facebook Live. Seating is limited; advance registration is strongly suggested. To RSVP, please click here. To view the trailer, click here. Screening is free. Sponsorships welcome. Doors open at 6:10 PM. For questions, email Yael Oshinsky at yael@thebayit.org or call (718) 796-4730. Learn more at #WeRemember. The Mikvah of New Rochelle's tenth annual fundraiser will take place on Saturday, February 2 at 8:30 PM at the Young Israel of New Rochelle. Men and women are welcome for an exciting cabaret evening featuring actor and comedian Elon Gold. To be included in the Scroll of Honor and to RSVP, please click here. Email rsvpmikvah@gmail.com with questions. Riverdale Jewish Center and Amudim and invite the community for an evening of awareness and education on Saturday, February 2 at 8:00 PM at RJC. Hear speakers Rabbi Menachem Penner, Louis J. Abrams, Rabbi Moshe Drelich, and Rabbi Zvi Gluck. No admission fee or reservations required. For questions, email events@amudim.org or info@rjconline.org. Join UJA Interboro Women for a conversation between Francine Klagsbrun, author of the biography Lioness: Golda Meir and the Nation of Israel, and Riverdale's own award-winning broadcast journalist Sasha Salama as they discuss Israel's iconic founding mother. Wednesday, February 6 at 12:00 PM, UJA-Federation of New York, 130 East 59th Street. $75 per person; lunch will be served. All attendees will receive a signed copy of Lioness: Golda Meir and the Nation of Israel. To register, click here. For questions, contact Adrienne Rubin-Prince at rubinprincea@ujafedny.org or (212) 836-1674. 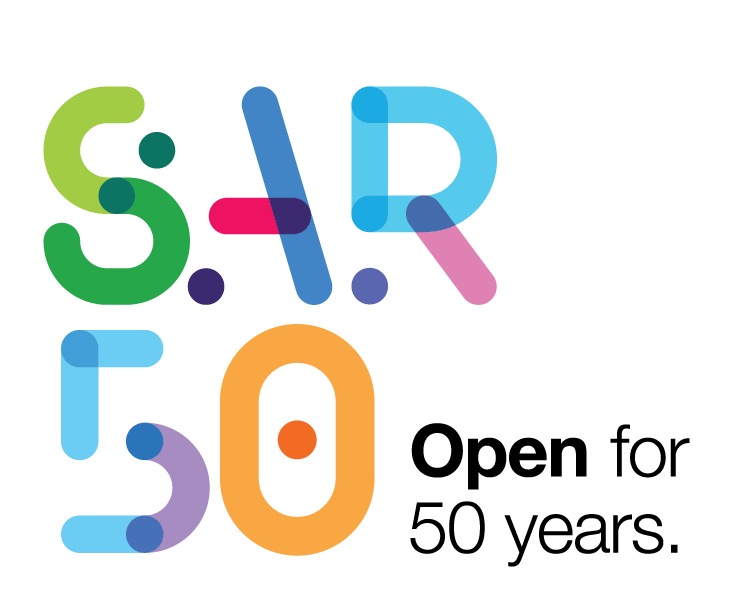 SAR ACADEMY • Open for 50 years.